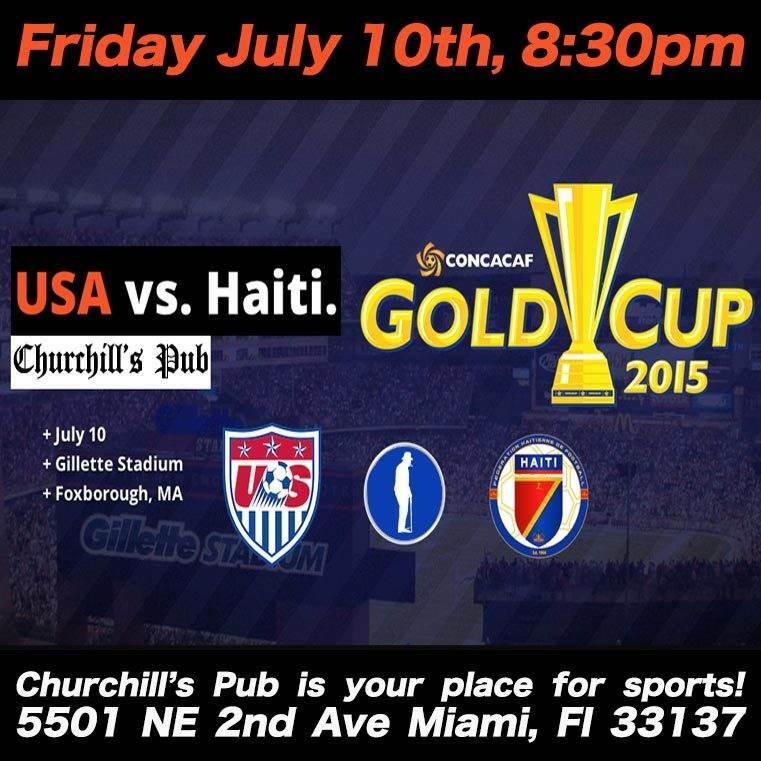 The 2015 CONCACAF Gold Cup is underway and Churchill's Pub is your place to catch all the action! Join us Friday July 10th at 8:30pm for the USA v Haiti match! There's going to be a riot no matter who wins! Enjoy our drink special of the month, the 6 shooter: a shot of Sailor Jerry and a Rolling Rock for only 6 bucks! Hungry? Grab a bite from our newly remodeled kitchen! Churchill's Pub is your place for sports!